Which other franchises would benefit? 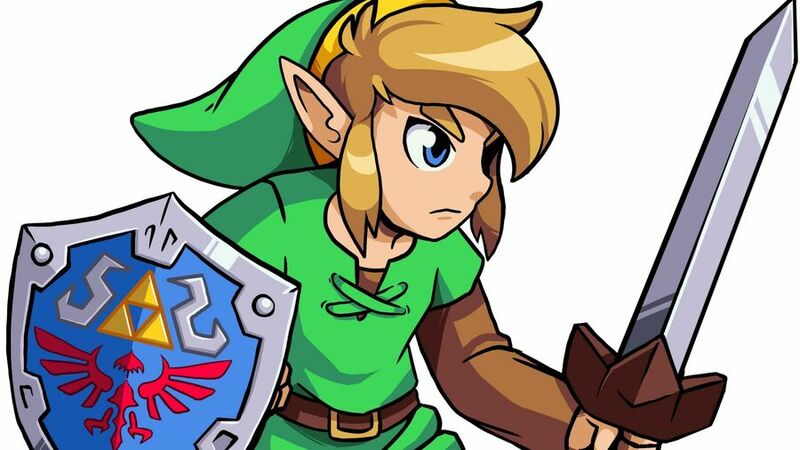 The Nindies Showcase reveal of Cadence of Hyrule was an exciting one for many reasons, but one standout reason is the fact that Nintendo has happily entrusted a relatively small indie developer with the Zelda brand. This really isn't a normal occurrence in Nintendo's world; larger, well-established companies are sometimes welcomed in - such as Ubisoft with Mario + Rabbids Kingdom Battle or Capcom with Zelda: The Minish Cap - but smaller teams like Crypt of the NecroDancer dev, Brace Yourself Games, wouldn't usually be presented with such an opportunity. From our point of view, this can only be great news - any game using the Zelda franchise and its characters will have had to go through Nintendo's highest tier quality checks, and should therefore turn out to be a cracking final product - but this might well only be the start. What if Nintendo was to become more open with its franchises going forward, with more indie devs being given access to its historic library of (sometimes forgotten) franchises. Don't get us wrong - this isn't confirmation that Nintendo has any other plans going forward - but having the head of developer relations being open to the idea really can't be a bad thing. The future's bright. Which franchises would you like to see be reborn thanks to indie development teams? And which developers would you like to see be given an opportunity? Share your thoughts with us in the comments below. Donkey Kong X Shantae comes to mind, but honestly Nintendo just give Pikmin to someone if you aren’t going to do anything with it. As long as they're meaningful games that use the IPs well rather than just throwing Nintendo characters into random games for the sake of having Nintendo characters. NecroDancer and Zelda will make such a perfect mix and sets a great example of how it should be done. How about just buying more development studios and giving us more bigger games too. I mentioned it in the last thread, but Floor Kids + Squid Kids. Splatoon is in the perfect place to start spin offs and boost brand recognition before the inevitable Splatoon 3 drops. I know it's not indie, but...DOOM x Metroid. Obvious ones are Team Cherry (Hollow Knight) to take on a 2D Metroid. And Yacht Club (Shovel Knight) to do a Donkey Kong Country or 2D Mario. Little more out there, but how about the Darkest Dungeon devs taking on Golden Sun? @CupidStunt As awesome an idea as that sounds, Nintendo very rarely buy into studios. They are too conservative with their money in that sense and it seems they feel it better used developing games in house or through partnerships. Let the devs behind Gunmaku Unlimited take a stab at a new Air Fortress. @Desrever That's an amazing pitch, and it's the perfect sort of spinoff for Splatoon. @Giygas_95 considering reboot Doom feels a lot like Metroid Prime, that's no surprise. Though, I'm not sure they'd cross Metroid with an M rated property. Metroid x That guy that did AM2R. I'd love to see Nitrome (Bomb Chicken devs) have a crack at Mole Mania. As long as these collabs stay creative, and not just forcing LoZ or Mario into similar games, I'll be happy. so ...we should expect a wave of garbage Zelda games and trashy Metroids? "any game using the Zelda franchise and its characters will have had to go through Nintendo's highest tier quality checks, and should therefore turn out to be a cracking final product"
Sorry, I couldn't resist. In all seriousness, I have no interest in seeing any crossovers. I see crossovers as usually a sign of desperation/running out of ideas. A process in which I'm sure the word "leveraging" was used a lot. Plus, to me, it's all a bit messy and inelegant (are Raving Rabbids now part of the Mario universe? God, I hope not). However, an indie developer purely having a crack at a Nintendo franchise would be fine. I don't know who/what though. Maybe Star Fox, as that tends to get bandied about anyway. I like the collaborations, but I also like the creativity/uniqueness of indie games. How about a waluigi game ? This is his chance. Give me more games like Twilight Princess Picross (please). Star Fox as a 2D 'shump, a 2D Metroid from one of the brilliant creators of a metroidvania out there, and excite bike x trials fusion might be interesting. Otherwise, I would rather Nintendo to do what it already has somewhat. Put out $30-40 games that are smaller bites of either new ideas, old idle franchises, or expansions that are cheaper starting points for those that are interested by not ready to devote $60. XC2: Torna, Captain Toad, Sniper Clips and New Super Luigi U are good examples of what I wish Nintendo would do more of. I am hoping that Link's Awakening will be another $40 title, as that is a very short game. Put out a Fire Emblem expansion side story would be another good one. @BlackenedHalo Only if Nintendo does another Other M/Skyward Sword. This is great news for both indies and Nintendo. Indies get to work with a huge IP and get more exposure and Nintendo gets new content for the Switch without taking the time to actually develop it themselves. It is a win-win situation if the quality control is up to the task, and by seeing their latest collaborations with third parties, I think they'll be all right. @Axlthered I believe DoctorM64 is working now with Moon Studios (Ori and the blind forest) as a level designer, so I don't think he is available to work in an official Metroid game since Moon Studios is a first party developer for Microsoft. Even when Microsoft porting games to the Switch is a thing now, thinking they'll develop a game exclusively for the Switch is still a long stretch, but it would be cool regardless. Samus in Slay the Spire? Could've had ROB in Blaster Master Zero 2, just sayin'. Elite Beat Agents with Deemo. Nintendo related pinball tables from Zen Studios. Think of Zelda, Mario, Metroid, Kirby brand new and exclusive tables. Hollow Knight and Metroid collaboration would be awesome. @Haywired Respect your opinion but couldn't disagree more. Remember Rare took reigns of the DK franchise and did wonders. 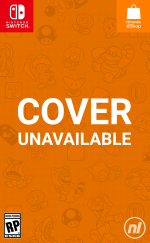 Metroid has been sent to a 2nd party (Prime trilogy) and 3rd party (portable versions). Not saying every game has been a smash hit but it means more games from the franchises I love so I'll take it. Maybe this is how that Mother 3 comes about.. it would make 15 people simply ecstatic..
Indie developers idolize Nintendo and live by their design philosophy. They are excellent partners for the company. I would like the Undertale guy to make a Mario & Luigi RPG crossover. Hollow Knight team to do a Super Metroid remake please! @BlackenedHalo Not all indie developers are great, that's a fact, but it is also a fact that no every game made by a big-name is good either like the examples I gave in my comment. There are definitely examples of developers handling the IP wrong from both sides of the spectrum, but good things can come from it with a better quality control of such games, at least that's how it has been lately on Nintendo's case. The last third party games that worked with Nintendo brands have been good enough, namely Hyrule/FE warriors, Kingdom Battle and Starlink (admitedly not being handled by an indie developer, but if Nintendo gave them the chance, they saw potential on the team behind the game). The CD-i games are more of isolated cases now since the situation now and then is quite different, but yeah, that's a case of it being handled poorly, but The Minish Cap is a case of it being handled correctly too. Looks like Cadence of Hyrule has a much better presentation than NecroDancer, though I hope they've changed the way they're displaying text messages. A well-designed Hyrule instead of roguelike random caves allows for a better learning curve and puzzles. The remixes I heard so far are also amazing. I just hope it gets a lot more polish than Mario+Rabbids' launch version. I think there are great indie devs out there that could make fantastic sequels or remakes to some of Nintendo's long-overdue classics like Ice Climber, Wrecking Crew, Clu Clu Land, Mach Rider, etc. What I really want to see is Nintendo beginning to collaborate with the development of regular indie games that Nintendo sees potential in. Lending some of Nintendo's in-house developers to improve an indie game's presentation, polish, map design, what have you, could go a long way to turning a good indie game with potential into a damn fine AA-level package. I also believe Nintendo should begin purchasing some of the best indie devs/studios outright. Team Cherry comes to mind. Imagine Nintendo funding and contributing with development to help Team Cherry's next IP become bigger and better than what they ever could done before. Would love to see Shinen make the next F-Zero game, given how awesome Fast Racing Neo/ Fast RMX was. They wouldn't be stuck with a 2D throwback either, unlike Cadence of Hyrule. What is this term "Nindies"? They aren't your own personal independent developers Nintendo. So don't try to blanket them with cheesy labels like that. On topic, it's nice to see Nintendo sharing its IP, but that independent developer stops being independent the moment they collaborate with you. They become a partner, and they have to run their ideas past you before being allowed to use them in the same game as your IP. I really hope Cadence of Hyrule not only will be a review darling, but also be a financial hit for Nintendo. I guess a lot of new projects will hinge on this. Given the very positive reaction so far, I sure hope signals are being shown. However I got to admit, the trailer hat me partially pumping due to the build up to the reveal with the great Tal Gal Heights Remix. I also hope Nintendo is releasing the soundtrack. More Nintendo Themed picross please. Localize Club Nintendo picross to start. Unbelievably lazy to not have done so. I don't know. I see using an existing IP as potentially hurting the franchise, and also hurting the unique element of a game an indie would be going for. I have a bad feeling about this..
Oooooo, does this mean we can finally see a Nintendo Hero Shooter and or MOBA?! With Birdo in it of course. @Pikachupwnage I have bought all the Picross games for 3DS and Switch. Hopefully those do get localized and ported to Switch! Metroid Dig, the robots already went to space. Have them stumble across a bounty hunter. Give her a spiffy new robot mech suit. Let Samus, Dorothy, and Rusty team up to dig and blast their way through a hostile planet. @Darknyht 2D Starfox shmup is a great idea. I also think Ice Climbers would be a great one to give out. Kind of out there, but I've always thought that Vanillaware's art style could make for a killer Metroid. I want Nintendo to be real picky about who they lend their IP to. After seeing how badly Warhammer 40k and normal Warhammer got farmed out and having most of them be bombs of games, it would really hurt to see really bad classical IPs be treated that way. And by "I'm not against" I mean "it's my dream"
@Dunan I would prefer that but it isn’t entirely realistic. Better that indies get to develop smaller titles with guidance from Nintendo than just blindly hand over the game. Give the makers of celeste and towerfall whatever they want. Maybe a game in the spirit of Zelda 2, or Kid Icarus. Offer Starfox to Factor V. Longshot, but could be awesome. Give F-Zero to the makers of Audiosurf or Thumper for something different, OR to the makers of Redout or Fast RMX for something traditional and awesome. Give Mario Golf, Tennis, Srikers or a new Mario Hockey to the makers of Golf Story. Kid Icarus to the makers of Killer Queen. And for fun....give geno/super mario RPG to the makers of the Textorcist, release with a keyboard or on PC. @Darknyht Oh no, I agree as well. I meant overall including both AAA studios and also Indies. If the quality's there from either party then it's deserved. Games Workshop was just interesting in farming out their IPs for money which resulted in many lackluster games from a variety of studios. I'm honestly very excited for Cadence and want it to do well. As great as it is to see Nintendo share something as big as Zelda, there's a ton of dead Nintendo IPs that can certainly benefit from this much more. Hope this game does well to see fresh appearances for Captain Falcon, Ice Climbers, and the like. Just give me Mario Kart X Monster Hunter. Using Indie devs to revive dead Nintendo IPs does sound pretty good. Though there’s a lot of “suggestions” here and there than don’t need to happen. Metroid being a big one that doesn’t need it. Mach Rider, Ice Climbers and Star Tropics would be good. @CupidStunt That's not really necessary in this case.